In the first installment of The Hakima’s Tale, we get to know our protagonist, Phoenix Kassim, a young girl that’s born into a great family legacy. She’s a direct descendant of the Hakima of the great King Ghalib, the ancient ruler who was granted power over the Jinn of the Earth. He kept the balance between the worlds, the human world, and the jinn world. There were many Jinn under his direct command, who served as warriors to keep the peace. 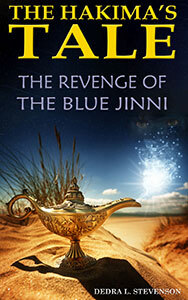 One of his mightiest warriors was the Blue Jinni, otherwise known as Iretunar. Iretunar had the power to wield terrible storms and move large objects, even cities, at will, as well as the power to create illusions. When the Blue Jinni decided that he’d had enough of human rule, he launched an unsuccessful coup against King Ghalib which landed him into imprisonment into a golden lantern at the bottom of the Ocean. 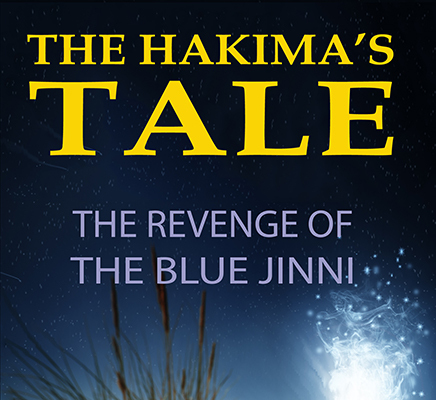 The Hakima of Ghalib and all her successors were the guardians of King Ghalib’s power and charged with keeping the peace for all time, for with each alignment of the planets, the generals of the Blue Jinni would attempt to free their master and rise against the human world. Phoenix is the chosen girl, yet she’s born into a world that’s forgotten the legends of the past, believing that the stories of the uprising are only stories of folklore, bedtime stories told to children. In time, the young girl learns that the tale is true, and her family must decide to support her in her quest. Their job is further complicated by the generals, Coulda, Bafeemus and Angrit, as they attempt to kill the girl before she has a chance to grow up and realize who she is.